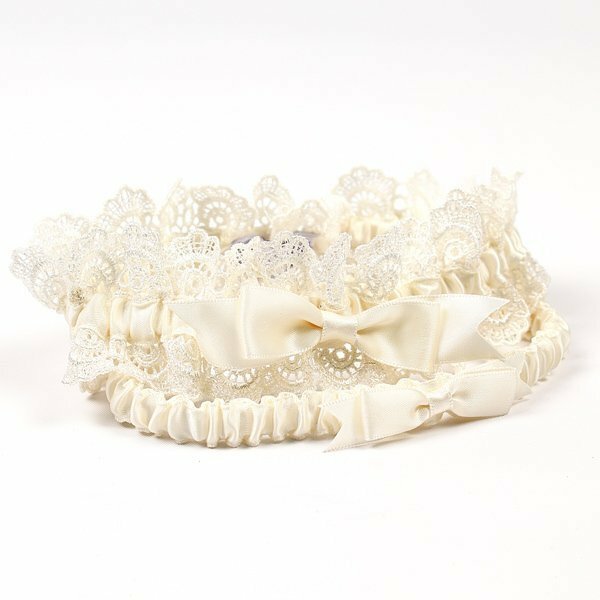 With a vintage look and tons of style, this ivory lace garter is the perfect addition to the wedding of your dreams! Featuring a luxurious satin band, the keepsake garter is trimmed with scalloped lace and finished with a classic satin bow. 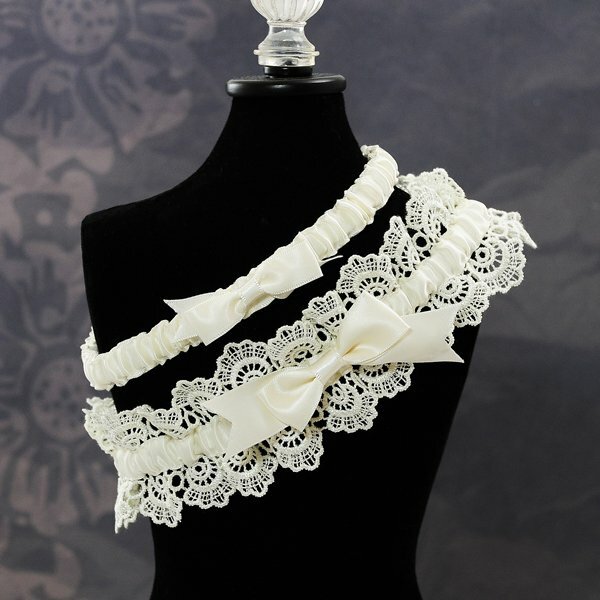 We include a simple garter in a coordinating style for your garter toss tradition. 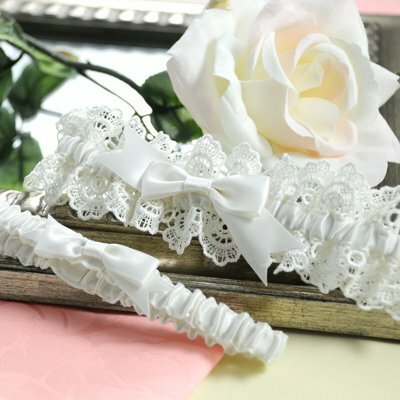 The matching ivory tossing garter includes the same satin ribbon. One size fits most brides.